Except for a touch of my literary discretion the piece below in italics was published in Front Page Magazine on March 2, 2015. I found it compelling and the extremely disturbing yet truthful statements set forth therein to be well worth your read. It perfectly describes the rapidly declining state of America today as a direct result of the accelerating death spiral in which Obama and Congress have intentionally placed our country, our children, and us. In effect Obama is being permitted to rule and destroy America as a lawless, pernicious monarch which I feel is unacceptable. The power to stop Obama through impeachment is vested exclusively in Congress. Since that disgraceful body has enthusiastically supported and enabled every one of his acts and edicts, their legality notwithstanding, they are willing accomplices. Accordingly, Obama will not be subjected to any meaningful consequences for intentionally destroying America's traditions, culture, and values, as well as flagrantly trashing her Constitution. I am not "incompetent". I am destroying America more quickly than anyone thought possible. I am not "in over my head". I am advancing totalitarianism right under your noses. I am not "stupid". The stupid ones are those who fail to see and realize the danger I bring. I am not "failing". I am succeeding at every goal I have set. I am embracing your enemies, rejecting your friends, and publicly disparaging your country. I am illegally flooding your country with depraved undesirables and indigents with tribal cultures from around the world. I am ignoring and trashing your Constitution. Your media is abetting me. Your Congress is willfully enabling rather than stopping me. Those sworn to defend your Constitution are not removing me. 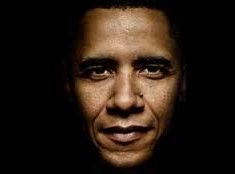 I am "fundamentally transforming the United States of America". Your Constitution, liberty, freedom, wealth, future, and children are no longer at risk...the risk has passed; they are lost. Congressional Complicity: Common sense should also tell you that Obama's outrageous immigration is not coincidental but rather a well conceived plan being perfectly executed with the acquiescence of Congress. Obama's motives are obvious to me: The threshold question is how can congress in good conscience encourage and willfully allow this to happen to America? To be succinct, they cannot! Their complicity is a betrayal of our country and a blatant breach of the sworn oaths of office they took that clearly constitutes treason. The Alien's Ugly Trails of Havoc: In case you have any doubts about the 'value-ad' these aliens bring to the U.S. simply check the havoc Hispanics and Muslims have respectively wreaked on America's Southwest border cities and throughout Europe. I also strongly encourage you to Google 'rapes and infectious diseases attributable to Muslim refugees throughout Europe' to learn more about the savage nature of Obama's 'peaceful' barbaric brethren. If you seriously think the tribal cultures and behavior of these feral aliens will change once in America I suggest another think. This video provides a truthful picture of what Muslim vermin are doing to Europe: View Here In my opinion the only reason Obama is flooding America with indigent non-White tribal filth of no redeeming benefit is to destroy her traditions, culture, and values then supplant them with Islamic ideology. Obama's message to America should be abundantly clear to all people that love and want to protect our country: He is destroying her with the willing support of a disgraceful complicit Congress and doing so without any meaningful consequences or accountability. Archived blogs can be viewed at suthenboy archives. They're stirring the pot of deception and we ain't falling for it and they're getting desperate...They have got to get us riled up soon afore the 2016 election and they need us Rebel Yelling mad so they'll have an excuse to step in with force...But God help em when they do..